As well as the 15 albums he has made fronting Rockgrass pioneers, Hayseed Dixie, for the past 18 years, John has also released two solo albums and one 5-song EP to date. 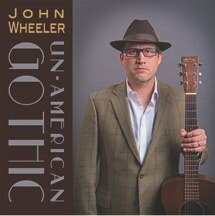 The debut solo John Wheeler album, called “Un-American Gothic,” was released worldwide February 4, 2013. It contains ten original songs and two reinterpretations. 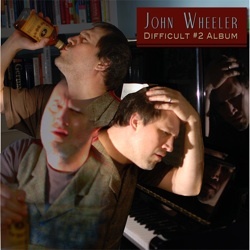 The second solo album, called “Difficult #2 Album,” was released worldwide January 29, 2016 and contains eleven original songs. 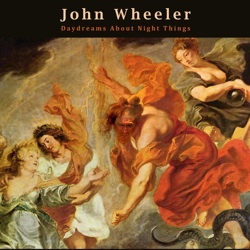 The EP, “Daydreams About Night Things,” released January 26, 2018, contains four original drinking songs and one country classic. John is also the writer of pretty much all of the original songs of Hayseed Dixie, which has allowed him to put his more surly feet fully forward. He’s still pretty surly and irreverent on these recordings too, but the music is more varied, experimental, and at times more piano and electric guitar based.